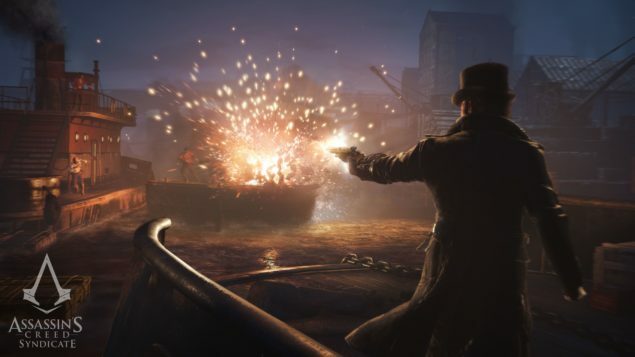 Ubisoft has released a new video for Assassin’s Creed Syndicate which introduces us to the two actors bringing Jacob and Evie Frye to life in an exclusive interview. Where do the twins come from? What drives them? Paul Amos and Victoria Atkin take us through their characters and the motion capture experience, before proving themselves as true Assassins on the San Diego Comic-Con parkour course. In Assassin’s Creed Syndicate players will take control of both Jacob and Evie Frye, twin brother and sister. Syndicate will feature a new combat system, new weapons, a grappling hook and a territory system similar to Far Cry’s outposts. The year is 1868. It’s the tail-end of the Industrial Revolution in London. Money is power and those who don’t have it are cast aside by society and left to rot. Many turn to a life of crime in order to survive. The Assassins have been forced out and the Templars now control every major enterprise in the city. Twin Assassins Jacob and Evie Frye take it upon themselves to steal London back by force, uniting the local gangs under one banner and conquering the city borough-by-borough. Assassin’s Creed Syndicate comes out on Xbox One and PS4 on October 23 2015, with a PC release to follow. We will bring you any new information on Syndicate as soon as it becomes available.